Really enjoy this gym. Really nice. Nice, spacious facility! 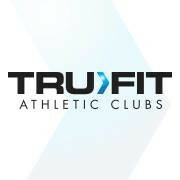 It was difficult to find parking being downtown, but I found out that Tru Fit will validate parking at a nearby parking garage, so will definitely be taking advantage of that next time. The lockers have free built in locks, so I was able to put away my coat and purse in a secure place while exercising. The locker rooms have saunas and steam rooms, and tanning beds are also available. Lots of perks for the ClassPass price! They should tell people how to find it since it’s embedded in an office building. Also, a lot of the equipment seemed to be broken. need new equipment at this gym, specifically seats on the spin bikes. great instructor!